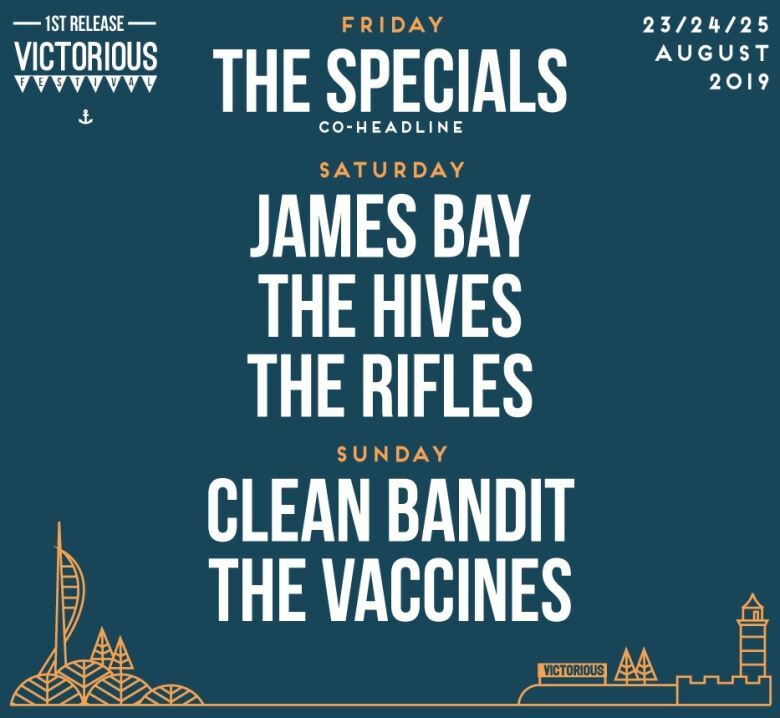 We are giving away a pair of weekend tickets to this years Victorious Festival, which takes place at the picturesque Southsea Seafront, Portsmouth over the August Bank Holiday Weekend. You could be there seeing The Specials, James Bay, The Rifles, The Hives, Clean Bandit, The Vaccines and more at this seafront festival. Be sure to FOLLOW US and Enter via our Twitter link or by logging into your account.